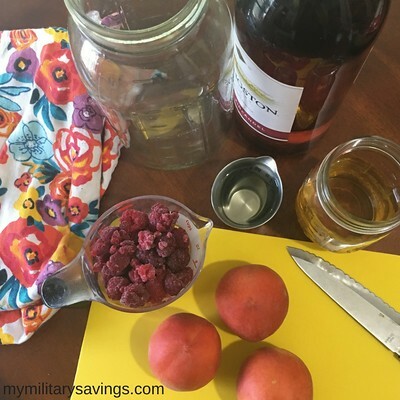 Summer Sangria is just Peachy! Summer is in full swing here in south Georgia and we are so enjoying our time off! Between playing outside, chilling at the beach, and afternoon naps during our daily thunderstorm we are truly living the good life! Another week has gone by and it’s time for another Happy Hour! I am a HUGE fan of Sangria. It’s easy to whip up, you don’t need any crazy ingredients, and you can customize your flavors to your liking! Walking by the produce section in the commissary and I could smell the ripe peaches and nectarines. I KNEW I had to use them right away. 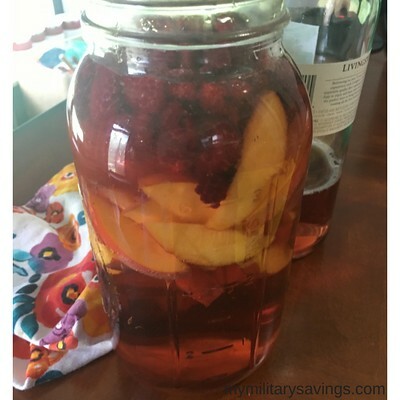 So, this week I made a Peachy Summer Sangria! 1 cup of frozen raspberries. You can use fresh berries, but I like that they work as fruity ice cubes in my drink! 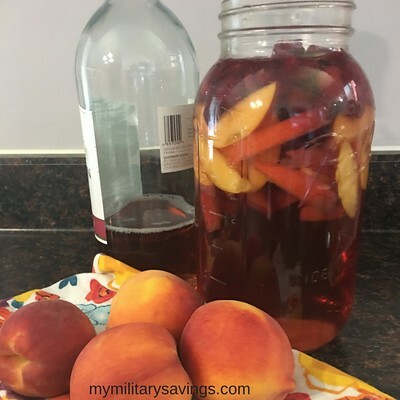 Slice your peaches fairly thin and slowly add everything to your pitcher (or giant mason jar!) Let it chill in the fridge until you’re ready to serve. This sangria is light, summery sweet, and oh so delicious! It doesn’t hurt that it’s pretty to look at as well. 😉 If you have leftover wine (what’s that? haha!) just add it to the sangria as you drink it and make room in the pitcher. I hope you make a big batch and enjoy it as you lounge at the pool or get together with friends this weekend. It’s the perfect party drink! As always, PLEASE DRINK RESPONSIBLY! 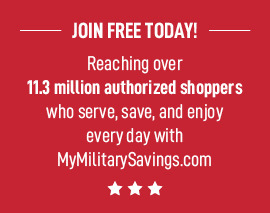 For more information, recipes, and coupons head on over to mymilitarysavings.com. « DIY THREE STEP Baby Blanket!